ST THOMAS LODGE SPRING BALL ON SATURDAY 27th APRIL 2019 SET TO BE A GREAT SUCCESS - BOOK QUICKLY! The Worshipful Master and Brethren of St Thomas Lodge would love for you, family and friends to join them at their 2019 St Thomas Lodge Spring Ball to be held at the John Fretwell Centre, Mansfield. http://www.w-s-t.co.uk/ on Saturday 27th April 2019. Over 100 seats have already been sold and the tickets are selling even faster than last year! You can print, scan, post or email back the booking form using the attachments at the bottom of this page but places can only be confirmed upon receipt of payment and will be allocated on a first come first served basis due to lots of interest, we also have to pay for everything 10 days before the event. All details are on the attachments below. This event is a great opportunity to bring along anyone thinking of joining Masonry and we hope it will be even better than last year where 168 people attended. 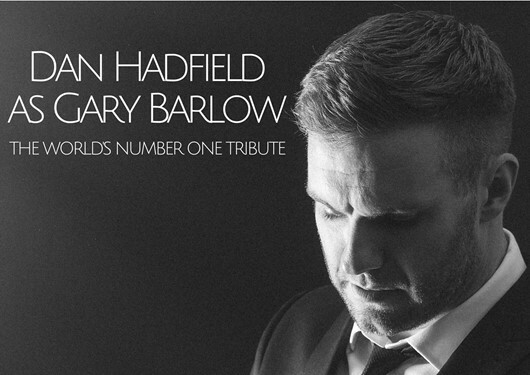 Entertainment will be provided by the amazing Dan Hadfield the legendary Gary Barlow tribute act. Dan will be supported by a cabaret disco to finish off the evening.